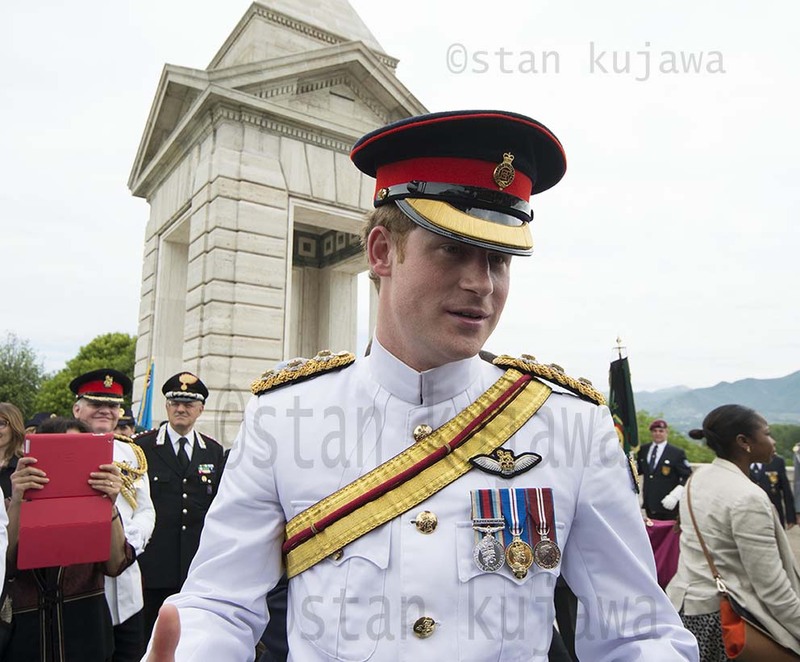 HRH Prince Harry attended the 70th anniversary of the WW2 Battle of Monte Cassino, Italy. 19.05.2014 ©Stan Kujawa. Well done Harry for paying your respect to the fallen of this terrible battle, and to the Italian Campaign, unfairly overshadowed by the Normandy landings. Taking on German positions in the Gustav Line was no walk in the park. You have to see with your own eyes how daunting and difficult a task this was in the most inhospitable, unforgiving mountainous tough terrain.